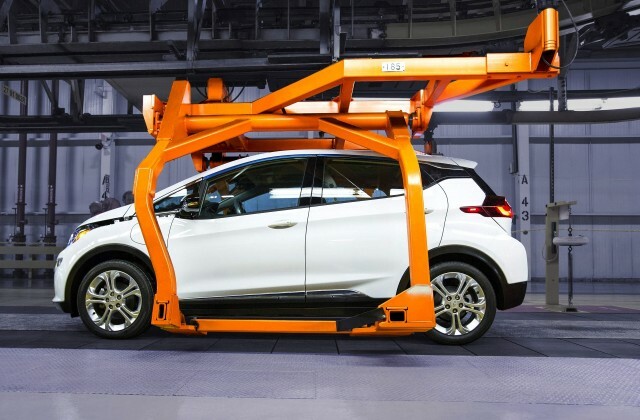 There will be a lot riding on the tall, square shoulders of the 2017 Chevrolet Bolt EV when it reaches the first Chevy dealers late this year. It will be the first mass-priced electric car with a range of 200 miles or more, and it will go on sale a year before the much-vaunted Tesla Model 3. 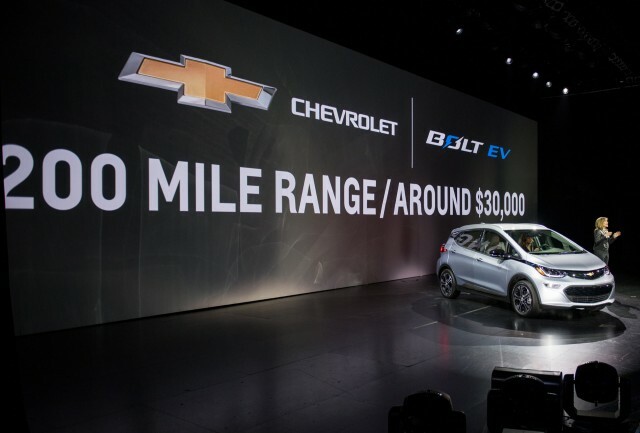 Now Chevrolet has released the EPA estimated range rating for the Bolt EV: 238 miles. That's higher than some analysts had expected—the consensus seemed to fall around 210 to 220 miles—and it handily beats the sole announced Model 3 range number: 215 miles. Moreover, it's the highest range of any electric car sold to date that doesn't have a Tesla badge on it. Not only is the Bolt EV's range noteworthy, the car and its 60-kilowatt-hour battery pack deliver high energy-efficiency ratings too. The 2017 Bolt EV gets ratings of 119 MPGe combined, made up of 128 MPGe city and 110 MPGe highway. Those are virtually the same ratings as the much smaller 2016 Chevy Spark EV subcompact hatchback, its predecessor in the Chevy lineup. The Bolt EV's rating, for a 238-mile electric car, is incrementally better than the latest 2017 BMW i3 with the new, larger 33-kwh battery pack and 114 miles of range, rated at 118 MPGe combined. The earlier i3 with the 22-kwh battery—which remains in the lineup—is still the most energy-efficient car sold in the U.S. this year, however. That lower-range BMW i3 gets a combined 124 MPGe rating—but offers just 81 miles of range, or about a third of the Bolt EV's rating. Many details of the Bolt EV remain to be released, including features and options, final specifications, plans for the rollout of the promised nationwide distribution. In the press release announcing the range rating, chief engineer Josh Tavel promises "every aspect of this vehicle, especially its impressive range and ride dynamics" has been optimized. Other concerns over the Bolt EV and its launch include the design and segment. While it has the interior volume of a much larger car, it's an upright five-door hatchback that looks small. 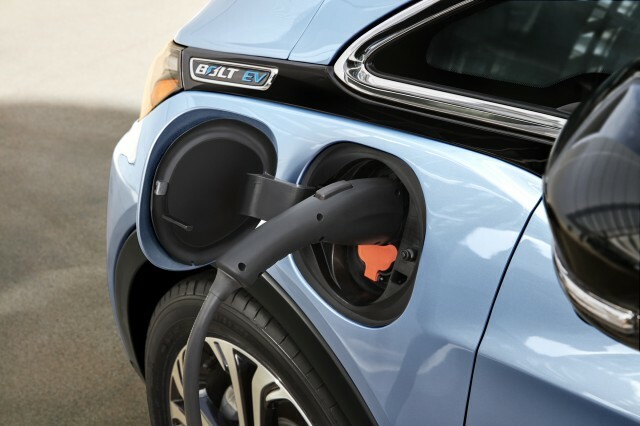 Electric-car advocates continue to note that General Motors has said it has no plans to fund any DC fast-charging infrastructure. While the Bolt EV will be equipped with a CCS fast-charging port, either standard or optional, a relative lack of charging stations may handicap it against Tesla and its network of nationwide Supercharger stations. Still, with a 238-mile range, the Bolt EV can appeal as much to city and apartment dwellers, without driveways or garages, as it will to buyers in single-family homes who can easily recharge an 80-mile electric car at home. The press release, incidentally, gives a hint of future announcements to come, referring to "an expected MSRP below $37,500." That could mean $37,499 for the base version, of course. But given the higher-than-expected range rating, perhaps Chevy has another surprise up its sleeve? 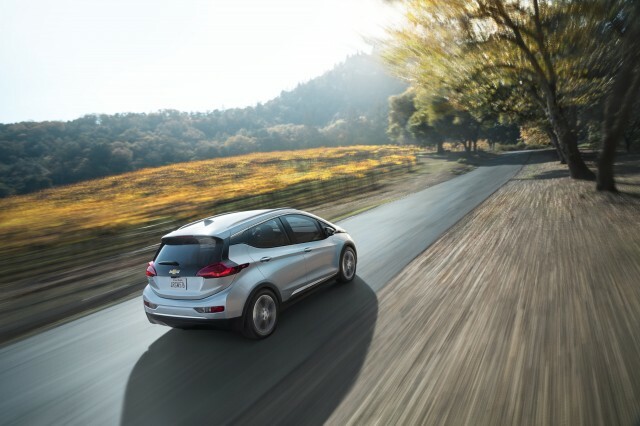 In that release, Alan Batey, president of GM North America, called the Bolt EV "a game changer for the electric car segment." While that kind of statement is often hyperbole, in this case it's possible it could be not far off the mark. 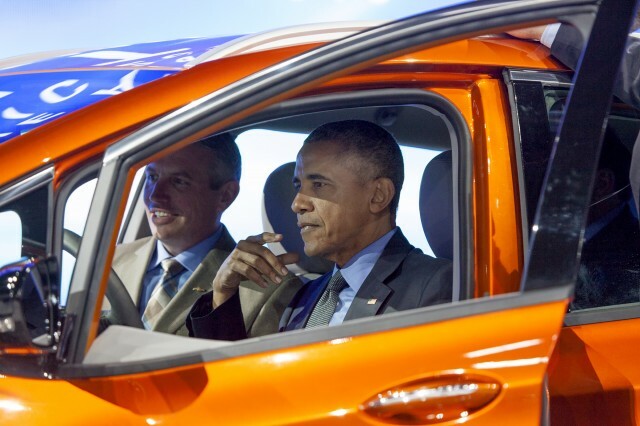 Tens of thousands of electric-car buyers will be very, very eager to find out.